Fees associated with filing industrial design applications in Chile as well as other design fees are available in the fee calculator. The term for filing design application in Chile claiming priority is six months from the date of priority. The restoration of the priority right is not possible. Multiple design applications are not possible in Chile. The validity term of a design patent in Chile is ten years from the filing date. The original Power of Attorney must be submitted. 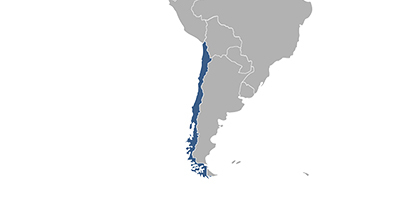 It may be provided later, within 60 days from the date of filing an application for design registration in Chile. The priority document translated into Spanish must be submitted to the Chilean patent office within 30 days from the date of filing. If the author of an industrial design is not the applicant, the notarized Assignment Deed must be provided within 30 days from filing the industrial design application in Chile. Examination of Chilean design application must be requested within 60 days from the expiration of the time limit for the opposition that constitutes 45 days from the publication of the application. - Abusive and unfair practices suffered by the applicant or the inventor. A design registration is valid for ten years from the filing date. The maintenance fee for the first five years of validity term is included in the grant fees and is to be paid within 60 days from the Notice of Allowance. The fee for the second five years may be paid together with the first maintenance fee, before the end of the first five-year period or within a grace period of six months after the first five-year period. For foreigners it is necessary to appoint an agent, a registered Chilean patent attorney, to perform the industrial design prosecution in Chile. Two-dimensional, three-dimensional and general appearance of design as well as contours, colours, shapes and textures, materials out of which the design is made, decoration of the design, packaging, graphic symbols, typographic typefaces are registrable as an industrial design in Chile.